Iron Throne iPhone Stand: Best DIY Phone Stand Ever? 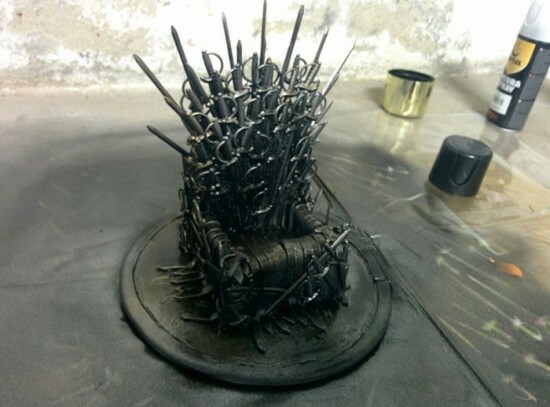 You are here: Home / Accessories / Iron Throne iPhone Stand: Best DIY Phone Stand Ever? The creativity of people never ceases to amaze me, and when it comes to something one is really passionate about, the results can be quite impressive. Take this girl, whose zeal for Game of Thrones is rather undeniable. 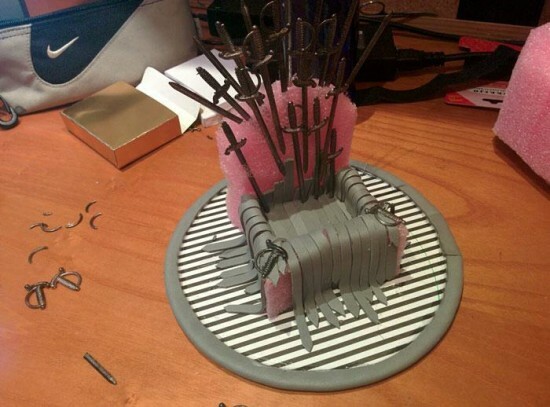 Armed with some foam/sponges, leather straps, glue, spray paint, and sword-shaped toothpicks – stuff you can find practically anywhere – she was able to create something that noone else has (presumably): an Iron Throne iPhone stand. 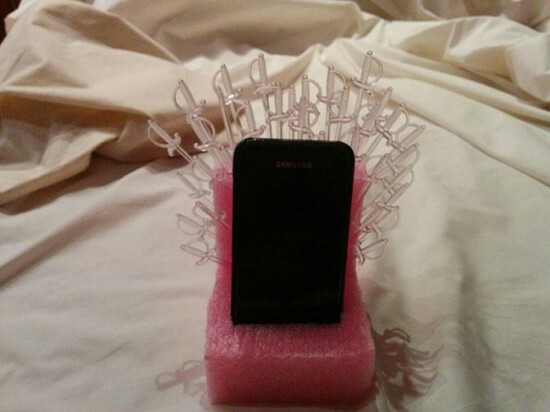 …and she now has a unique Iron Throne iPhone stand. Maybe the only one in the world. Okay, I have to stop saying Iron Throne iPhone stand, because one of the photos clearly shows she’s not using an iPhone. 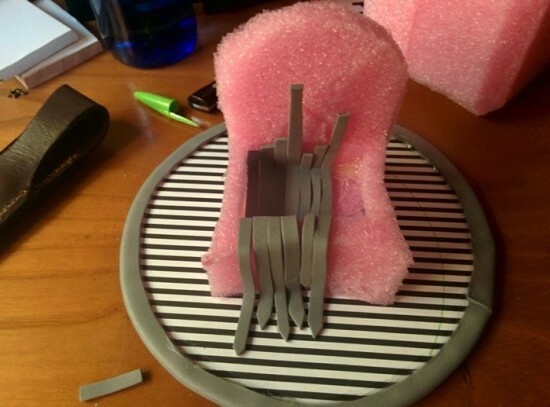 Still, this DIY phone stand should very well be able to accommodate an iPhone, don’t you think? 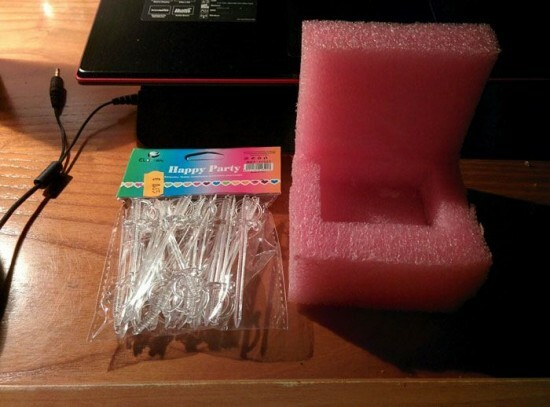 Now, those of you who are handy when it comes to arts and crafts, I think you have yourself a weekend project.